WANT TO PURCHASE A NEW MEMBERSHIP TO WELLFIELD BOTANIC GARDENS? Complimentary general admission throughout the year. Reciprocal Free Admission benefits to over 320 American Horticultural Society gardens. Discounts for specified WBG-sponsored special events. Discounts on Education Programs and Classes. Members have the option to purchase a Family Dog Membership ($20 add-on per dog, annually). Reciprocal admission privilege with the Midwest Museum of American Art in Elkhart – Click here for details. Family [$60] Two named adults at the same address and children 18 and under residing in the same household. Grandparent [$60] Two named adults at the same address and their grandchildren ages 18 and under. Ambassador [$100] Family Level benefits PLUS ONE additional guest per visit accompanied by the Ambassador. Sustainer [$250] Family Level benefits PLUS TWO additional guests per visit accompanied by the Sustainer. Best Buds [$500] Family Level benefits PLUS FOUR additional guests per visit accompanied by the Best Bud and special invitations to member only events. Perennial Partner [$1,000] Family Level benefits PLUS SIX additional guests per visit accompanied by the Partner, invitations to special Perennial Partner member only events, and [**NEW BENEFIT**] 2 complimentary season passes to Groovin’ in the Gardens Summer Concert Series. Family Dog [$20 add-on per dog] This is an optional benefit for Wellfield Botanic Gardens Members only. This add-on requires a Dog Registration Form (PDF Format), signed in person at the Visitors Cottage during regular business hours. The Family Dog add-on cannot be purchased online. Please note Family Dog Membership runs concurrent with Member’s annual membership year/expiration date and applies to general admission only. Dogs are not allowed at special ticketed events, including Taste of the Gardens, Groovin’ in the Gardens, etc. NEW TO MEMBERSHIP?… Check out our complimentary Membership Orientation and Update Sessions, offered quarterly. Click here for schedule and to RSVP. 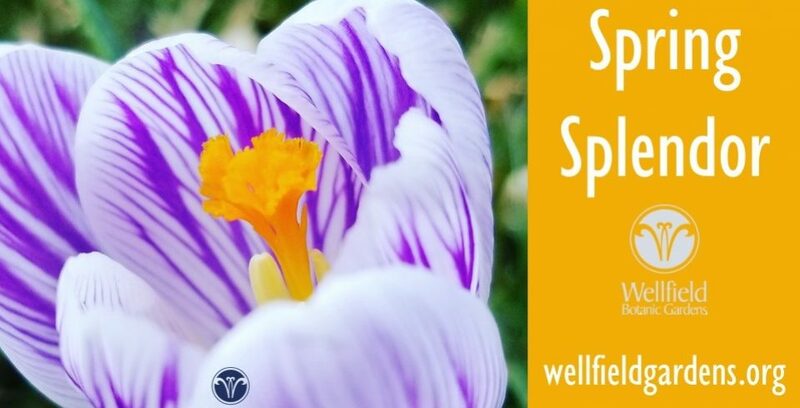 Wellfield Botanic Gardens is a 501(c)(3) nonprofit corporation and funded through memberships, donations, admission fees and other earned revenue, as well as the generosity of our community. Your annual membership or contribution is fully tax deductible.